Cycling in Lisburn has been in the news again, and again for all the wrong reasons. Bob Harper has mapped all Northern Ireland’s cycle collisions between 1998 and 2014. 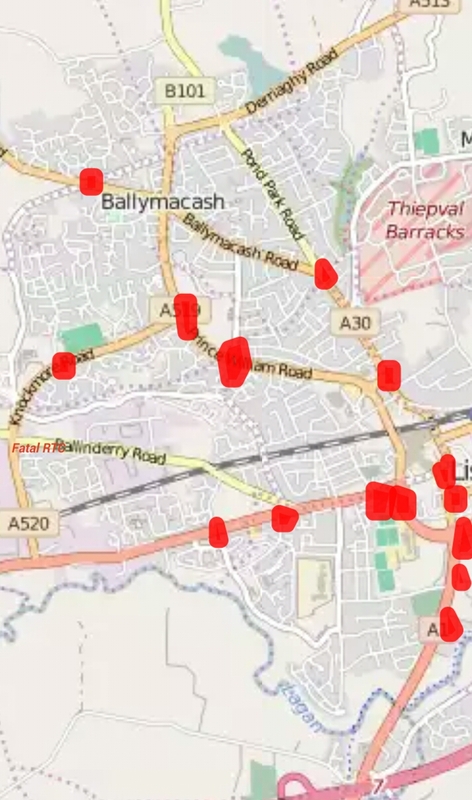 Red dots on this map of western Lisburn represent clusters of collisions involving cyclists. 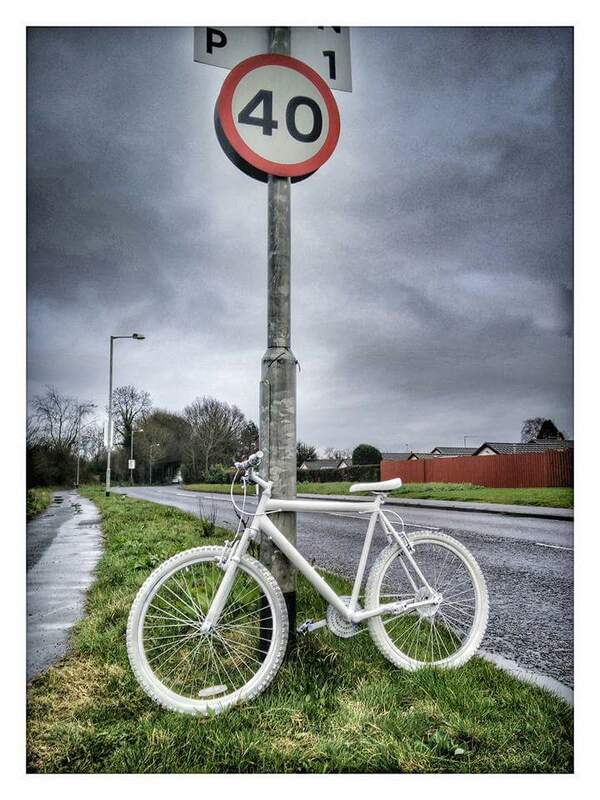 On 23 March 2016 a cyclist died on Knockmore Road at its junction with Ballinderry Road. The victim was Mr Mahfouz Balid, a Syrian refugee and qualified dentist, who worked in a window blind factory earning money to become a practicing dentist in the UK. His story was featured on BBC Newsline at Christmas. 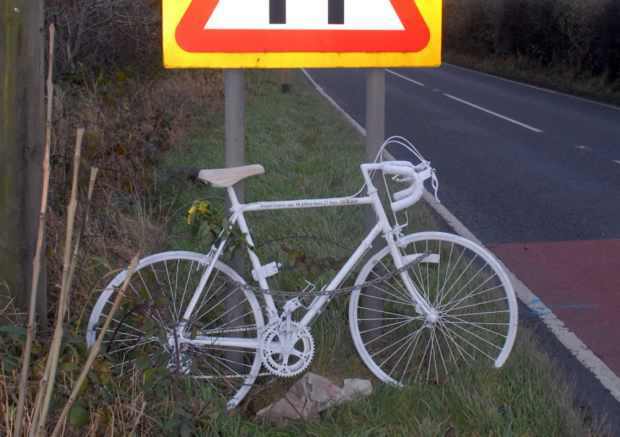 In the past 4 years 3 cyclists, including Mr Balid, have died on Lisburn roads. In November 2012, Donal Lucey, age 48, from Clonkeen, Co. Kerry died following a collision on the B49 Old Ballynahinch Road to the east of Lisburn. A ghost bike was placed near the spot where he was fatally wounded. At the time of the collision planned road works to improve safety were on hold following objections from people in Cargacreevy. In response to this and many other collisions, the speed limit on the B-roads coming into Lisburn from Co. Down was reduced from the National Speed Limit to 50mph and 40mph in places. It has to be noted that in a collision with a vulnerable road user at these speeds they will still most likely die. In November 2014 a bleak 24 hour period brought two traffic deaths. Adam Gilmour, age 8, was knocked down walking along a country road just outside Cloughmills, Co. Antrim, on his way to school. The second death was that of John Flynn, age 51, who was killed in a crash involving a HGV on the A1 between Dromore and Hillsborough. In the aftermath there were calls for cycle lanes on the hard shoulder of the A1. Mr Balid’s death also involved a HGV. 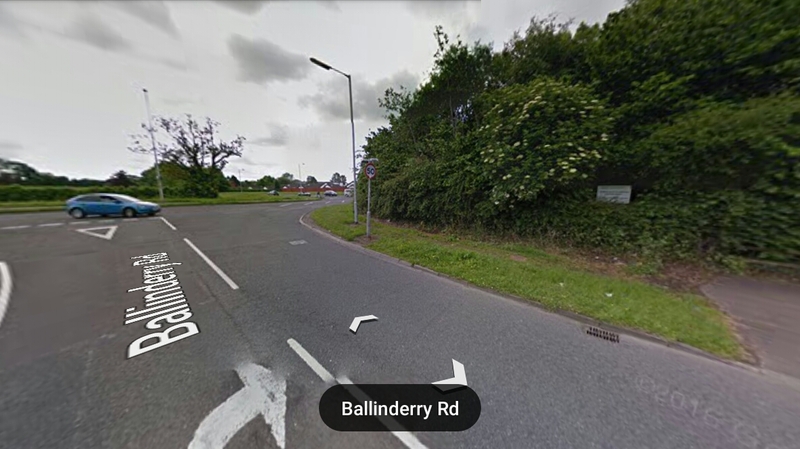 Local politicians were vocal following Mr Balid’s death, pointing out a plan for traffic lights at the Ballinderry Road junction had been unnecessarily delayed. Traffic lights are perhaps needed there, but more work needs done to make the junction safe for pedestrians and cyclists. Traffic lights alone won’t remove the risk of a collision between a cyclist and a turning HGV. I am not sure traffic lights would have prevented Mr Balid’s death. Firstly and obviously, a 50mph speed limit is inappropriate along Knockmore Road, or on Prince William Road. Since these roads were constructed many more residential developments have sprung up along both roads changing the roads’ character. A lower speed limit of 40 or -better still- 30, might be safer. To accommodate these high speeds the junctions along Knockmore Road flare considerably, with a wide turning radius. This allows cars to leave the road without slowing significantly, not allowing drivers enough time to react should there be a cyclist or pedestrian crossing at the mouth of the junction. Cyclists are expected to share this 50mph road with numerous HGV in an area of Lisburn dominated by industry. Yet, there are no dedicated cycleways. Also, recent residential development along the Ballinderry Road have brought more pedestrians to the junction. That pedestrians would rather continue walking on a verge than cross a road demonstrates the need for a safe crossing and a footpath. The shared use pavements along Knockmore Road stop on the northern side of the Ballinderry Road junction. Going south from the junction cyclists are compelled to use the 50mph road or use the narrow, poorly surfaced, footpath on the eastern side. There are few safe pedestrian or cyclist crossing points along Knockmore Road, the only pedestrian crossing is at the Ballymacoss Avenue junction, linking a residential area to a nearby supermarket. At the eastern end of Knockmore Road, along Prince William Road, there is a very good bit of cycling infrastructure. And it has to be included as part of the solution. A fully segregated bidirectional cycleway, extended along the entire length of Knockmore Road. As good as it is, the above junction is also incredibly poorly thought through. 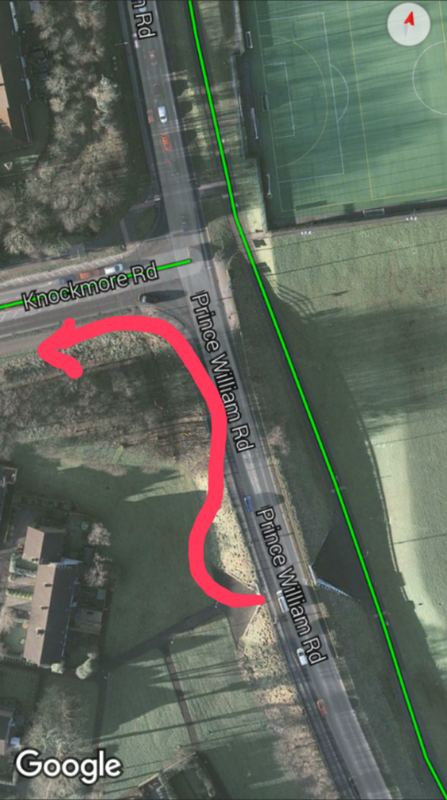 There is a pedestrian underpass under Prince William Road from the cycleway, but it offers no direct link to the shared use path along Knockmore Road. Instead, cyclists are expected to use the lights and cross the roads at the junction. Why not have a link marked with the red arrow-like squiggle? There is ample space along Knockmore Road for a bidirectional cycleway. The junctions with side roads should be designed so as to allow a car turning off the Knockmore Road to stop and yield to cyclists, without interfering with traffic going straight ahead. Provided it is set well enough back from the main road cyclists will be protected from turning articulated HGV. 1. Complete the shared use path along the northwest side of Knockmore Road from Prince William Road to Moira Road. 2. Construct a bidirectional cycleway along the southeastern side and connect to existing cycleway at Prince William Road. 3. Reduce speed limit to 30mph. 4. Provide traffic lights and safe pedestrian and cyclist crossing at Ballinderry Road junction. Great article. 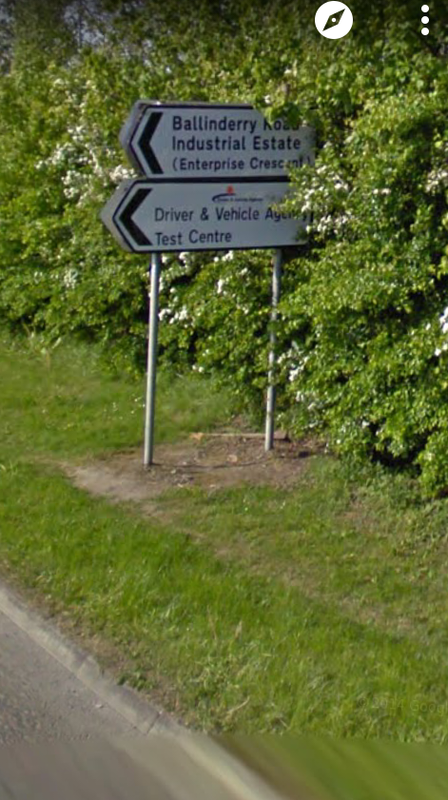 I live a stones throw from this junction. And was unfortunate to see the latest victim receiving CPR at the scene. It also needs pointed out that some pedestrians and cyclists are choosing the wrong place to cross the knockmore Rd. Many choose to cross the Rd between the staggered ends of the Ballinderry Rd therefore having to deal with traffic from 4 directions. ( North and south travelling traffic on knockmore Rd & East and west traffic on the Ballinderry Rd towards the junctions). On numerous occasions I’ve seen pedestrians stop in the middle of the road between the junctions to wait for traffic to clear. There is a drop kerb 20 metres North of the junction which is a better option for those crossing. Good article, I agree something has to be done. If you’re not already aware, a Transport Assement including Traffic Impact Assesment was carried out on this junction in relation to the planning appliction (S/2012/0153/O) for the site of the old Down Royal Pub – it found that the junction was operating ‘significantly in excess’ of the assumed capacity, and the current situation was unsatisfactory back in November 2014. 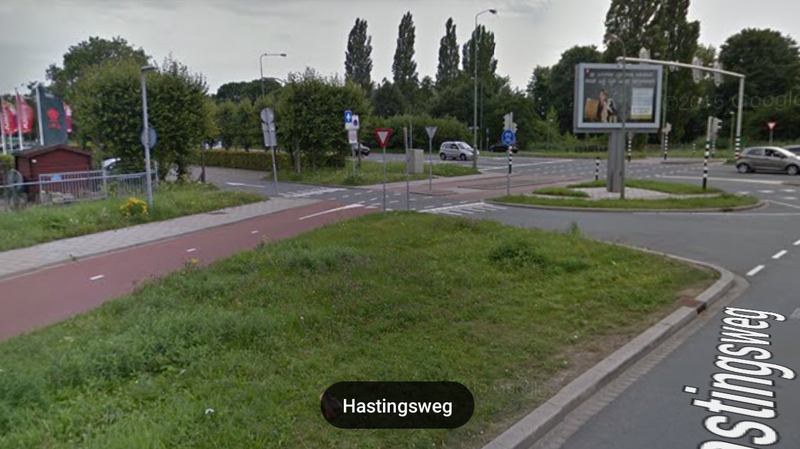 Its a shame two more people have died at this junction since that. The inaction by authorities after recent fatalities on the B49 and on Knockmore Road is simply scandalous. see ulster star today 28/04/2016 article about the confused speed limits on knockmore road lisburn and the roads going off it , eg causeway end road is National Limit !